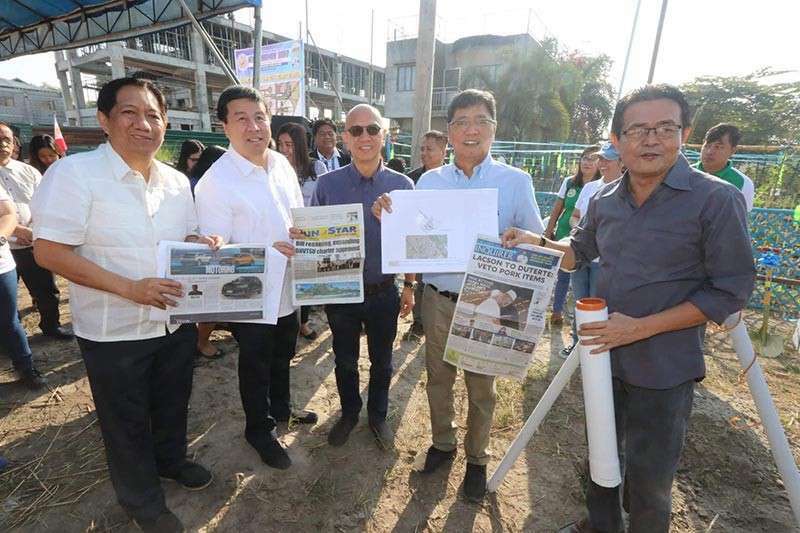 A CIVIC center will soon rise on an 11.3-hectare compound north of the City of San Fernando in Barangay San Isidro which will house several vital infrastructure facilities aimed at providing better quality of public service to Fernandinos. This will include a permanent evacuation center, senior citizens’ center, and youth development center which will become the venue for addressing the needs and concerns of needy Fernandinos. The civic center will also house the Department of Education Division building, special drug education center, technical vocational area and other satellite offices which are expected to complement the public services delivered at the Diosdado Macapagal Government Center. A command and control center complete with video management system, computer aided dispatch system, cabling for voice facilities to collaborate with the different respondent agencies and LED boards to guide motorists on alternative routes in times of disasters, among others will also be constructed in the said area in order to immediately respond to crimes, accidents and emergency cases in the city. A sports complex and city park will also be established in the area to give Fernandinos, especially youth, an area for recreation while grooming it as another tourist destination in the city. “The construction of the civic center is intended to cater to the growing population and demand for better quality of service of Fernandinos. It will serve as a social support for infrastructure in the middle western part of the city,” Santiago said. “With the establishment of the civic center, we aim to provide a common space for Fernandinos to do their activities and hopefully give them a sense them a sense of pride with the new and modern facility,” he added. He added that the project is part of his agenda to provide inclusive development in the city by creating several economic growth areas that would spur massive economic activity in different parts here. “From the three growth areas in Poblacion, Dolores intersection and in Barangay Sindalan, we have maximized it to seven including the downtown area or what we call today as the central business district, the regional transport hub, regional government center, Bulaon New Township, Sindalan-Calulut growth corridor, Baliti Growth Center and Telabastagan-Malino Growth Center,” he explained. The civic center is expected to be completed and fully utilized in 2022. “When I discussed the Pampanga Megalopolis plan with Architect Felino Palafox, Jr., whom I worked with some 27 years ago on the Nuvali project, he said that the city could stand on its own and that we would have to be excluded from the infrastructure allocation since all of our road projects and infrastructure developments are already aligned with the plan. At that time, we started to work on the concept of Metro San Fernando,” he said. The concept he said, was formulated by planning experts with the help of the National Economic and Development Authority. “We do not want the City of San Fernando to be like Metro Manila. With the Metro San Fernando concept, developments in the city will be well-planned and the core of it is being the economic development and economic growth center in the region,” Santiago said.